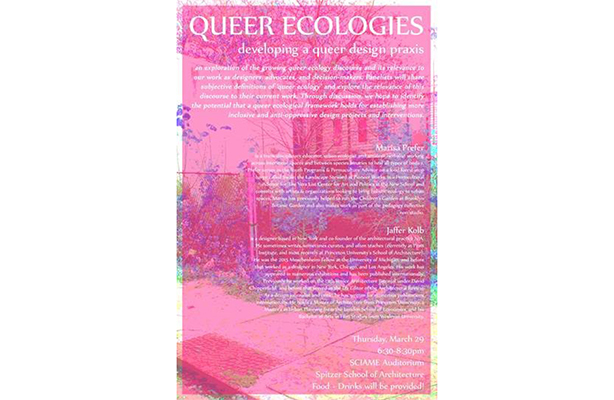 Queer Ecologies: Developing A Design Praxis is an opportunity to explore the growing discourse of queer ecology and its relevance to our work as designers, advocates, and decision-makers. During presentations, panelists will share their subjective definitions of and experiences with "queer ecology," as well explore the relevance of this discourse to their current work. 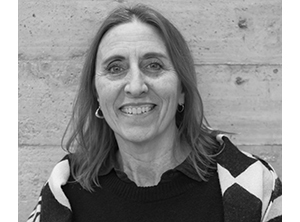 Through discussion, we hope to identify the potential that a queer ecological framework holds for establishing more inclusive and anti-oppressive design projects and interventions. The panel will consist of an hour-long period of presentations by panelists followed by an hour for further discussion and Q & A.